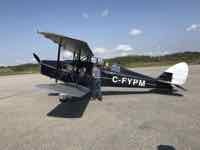 Our 2013 airplane fun left us with great little aviation memories. We didn’t write about many of them. It's hard to do a whole page about just one antique or interesting airplane we encountered. Some years you just find more time for air shows than other years. For the last few years we’ve done a review of our travels for our sister website Mousetours. So, we decided it would be fun to do a retrospective page for air shows, planes and airports we saw each year here too. We have to admit right up front.... 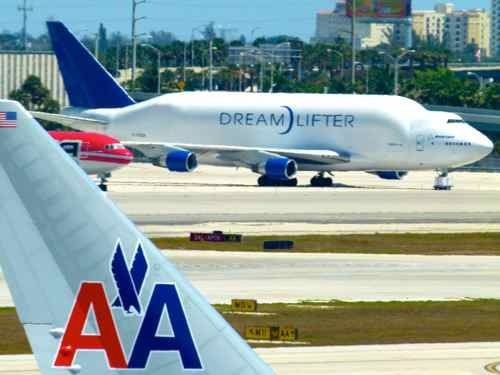 This WAS a slow year for aviation related trips. 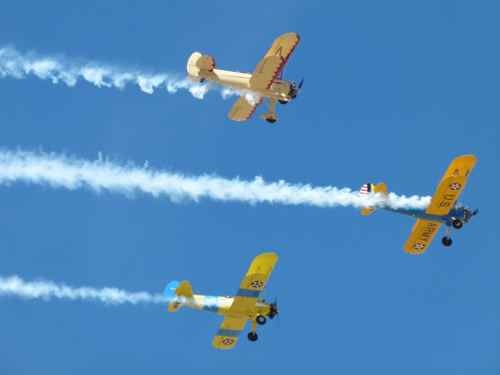 We love antique airplanes, but we have lots other hobbies, and we concentrated more on adventures than aviation. Still, we have some fun things to share. OK… So what did we find for 2013 airplane fun? OK, so the year didn't get off to a slow start. We had friends to visit in “Lower Alabama” so we flew into Pensacola, Florida… and when in Pensacola… Well, you get it. 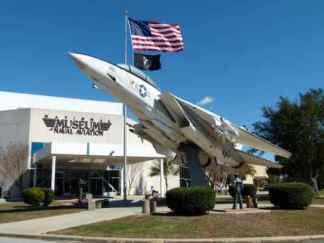 We hadn’t visited the National Naval Aviation Museum in many years, so it was fun to explore again and get updated digital photos. 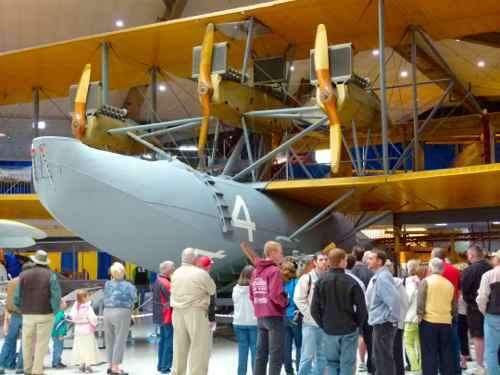 The whole facility is jammed full of historic and rare airplanes. That can be a problem for photography, but it sure is fun to run around and look at them. This is definitely a facility that we should write more about in the future. The Commemorative Air Force has their B-29 up and flying again. Fifi was on display and selling rides in the Phoenix area early in the year. We’d love to ride in her someday, but rides are expensive. (Even so, they sell out fast.) For us, this time, it was just fun to see her again, and see her flying. She was traveling with several other warbirds and old planes that were fun to see. Some of those were selling rides too. 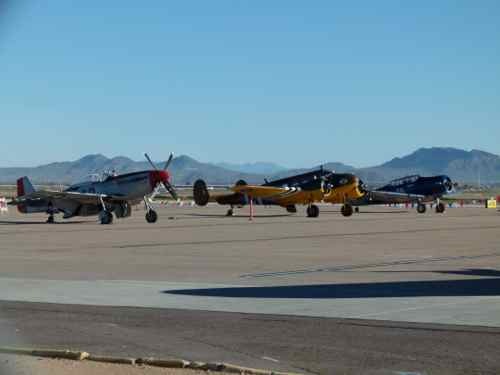 We got lucky with the timing, Fifi was in Arizona the same weekend as the Cactus Fly In in Casa Grande. This isn't a big fly-in, but when we're in the area it's fun to visit. 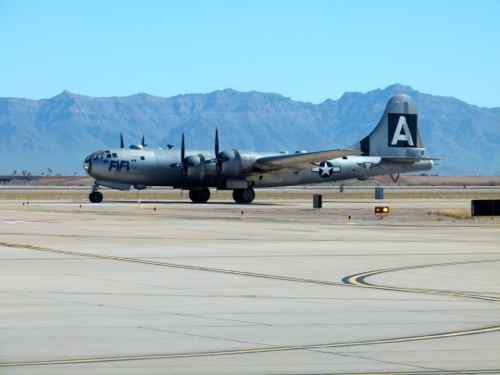 Fifi, the B-17 Sentimental Journey, and the B-25 “Maid in the Shade” all made fly-bys as we got to the Casa Grande Airport..... fun! Cactus Fly-In participants did fly-bys too. 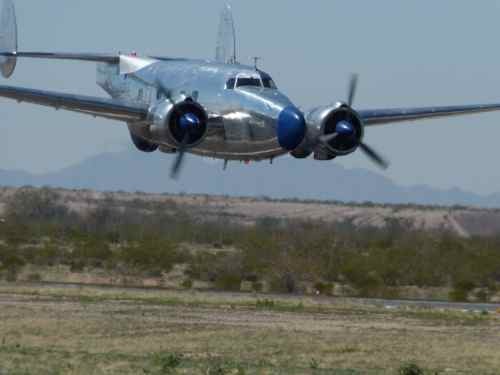 Don't mistake this one for the B-25 we mentioned... the one below is a Lockheed 18 Lodestar. 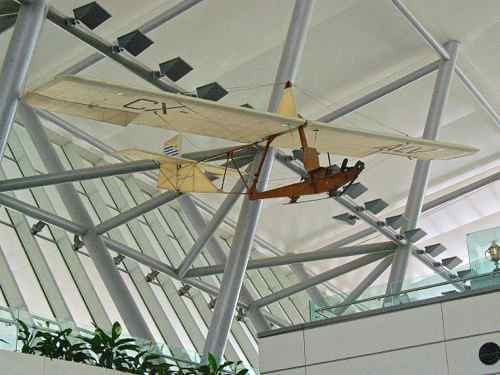 This is not a county where you would expect to find lots of antique airplanes, but there was a funny little glider hanging in the Montevideo Airport. The numbers read CX-ALV… and we think it is a Glider SG-38. From what little we could learn, this was a glider built in Argentina in about 1945 from a German design. 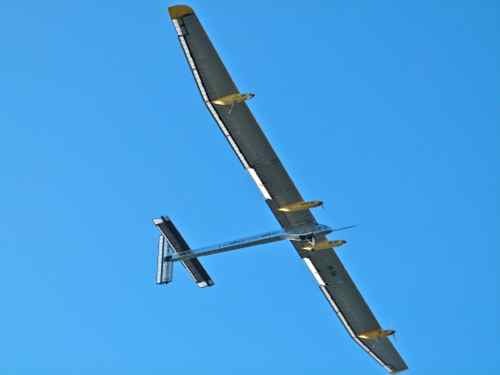 If anyone has more information on this glider, we’d love to have you share it by commenting below. One more weird little sighting…, while we were driving to Punta del Este, we saw a banged up plane on top of a billboard advertising an aero taxi service... Check that out on that page. 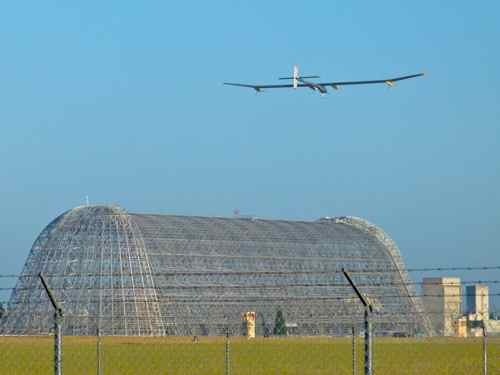 The Solar Impulse caught our attention for 2013 airplane fun close to home. 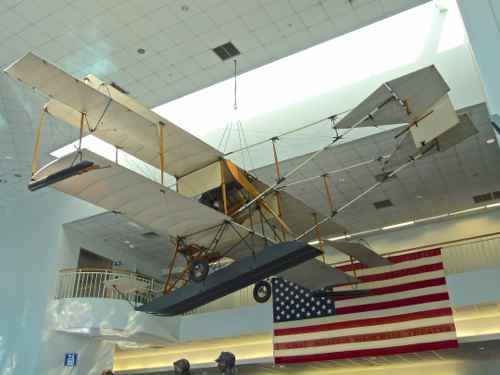 It made several test flights before taking off from Moffett Field in California for a flight across the USA. Historic Hangar One is in the photo… it’s skin has been stripped off for environmental reasons. Can you imagine the old dirigibles and blimps that were hangared here? OK… this isn’t really about airplanes… and it’s not even “just plane fun” … it’s more like just PLAIN fun! You know those safety announcements you get on airlines? 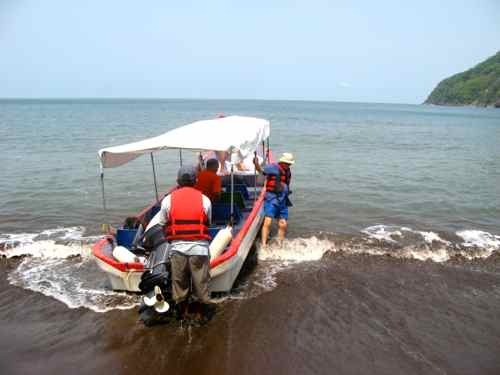 Well.... We got one on the little boat that took us from El Salvador to Nicaragua. And instead of helping push a plane out of the hangar... Mark had to help launch it! 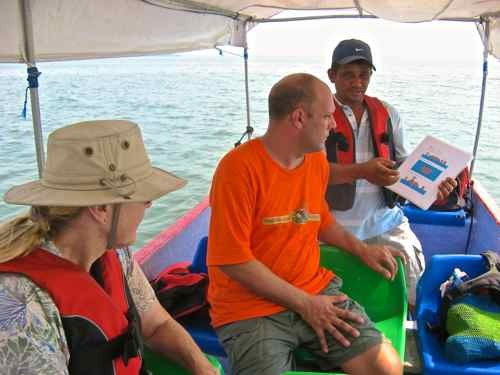 We knew we were going by boat, but this little boat was way more fun than a commercial flight over the Bay of Fonseca. If you want to see a few stories and photos about our adventure travels this year, check out MouseToursTravels 2013. 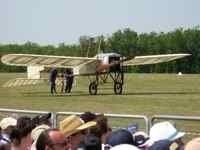 We traveled through many airports to get on our adventures, and we are always looking at airplanes whether they’re antique airplanes or not. 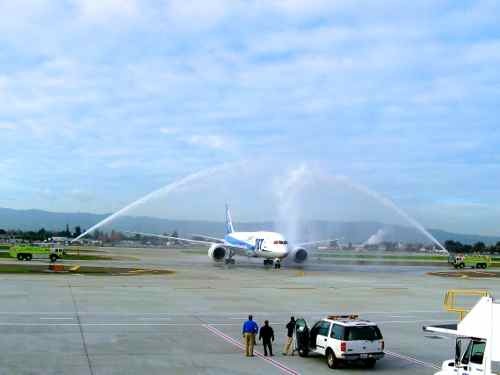 So our 2013 airplane fun included water cannon salutes and transport planes and funky old airports. 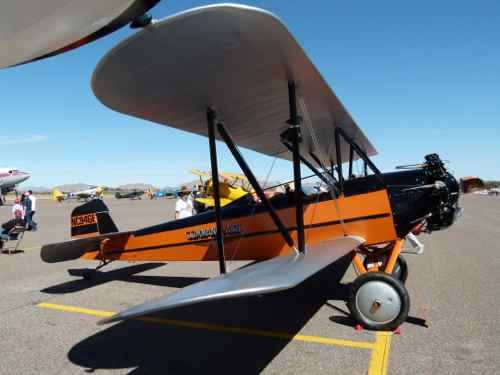 Looking back, our 2013 airplane fun was full of great planes even if we didn't get to too many airshows. 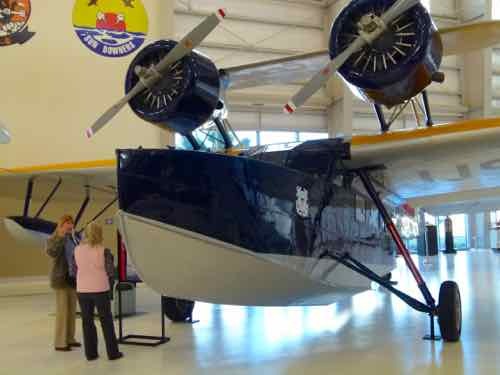 Here's hoping that 2014 is fun of antique airplanes for all of us.